To register a new app, the developer selects the Add a new app button on the My Apps page. By default, the developer only has to specify the app name, callback URL, and the list of API products to add to the app. You can configure the portal to prohibit developers from being able to create, delete, or edit apps based on the role assigned to the developer. For example, you might configure the portal to create a single, default app for all developers when the developer registers. Then, you only allow some developers to add new apps, possibly based on a fee structure or other characteristics of the developer. Use roles and permissions to control which developers can create, delete, and edit apps. See Add and manage user accounts for more. Only products marked "Public" are available to developers on the portal. API products marked Internal only or Private are still available for use, but is not accessible through the portal. See Create API products for more information. By enabling the API Product Role Access Drupal module, you can specify the roles that can access each API product. Select People > Permissions > Roles in the Drupal administration menu and add or edit the developer roles and permissions, as required. Select People in the Drupal administration menu and edit user and role assignments, as required. Select Configuration > Dev Portal > API Product Role Access in the Drupal administration menu. Select the roles that you want to be able to access each API product. Based on how you configure the portal, the developer can select one or more API products to associate with the app at the time of app registration. Or, you can specify a default product that is assigned to all apps. Do not associate apps with any API Product. Associate all apps with one or more Default API Products (configured below). Developers cannot add any other API products to the app. Allow selection of a single API product, but do not require it. Require selection of a single API product. Allow selection of multiple API Products, but do not require any. Allow selection of multiple API Products, and require at least one. 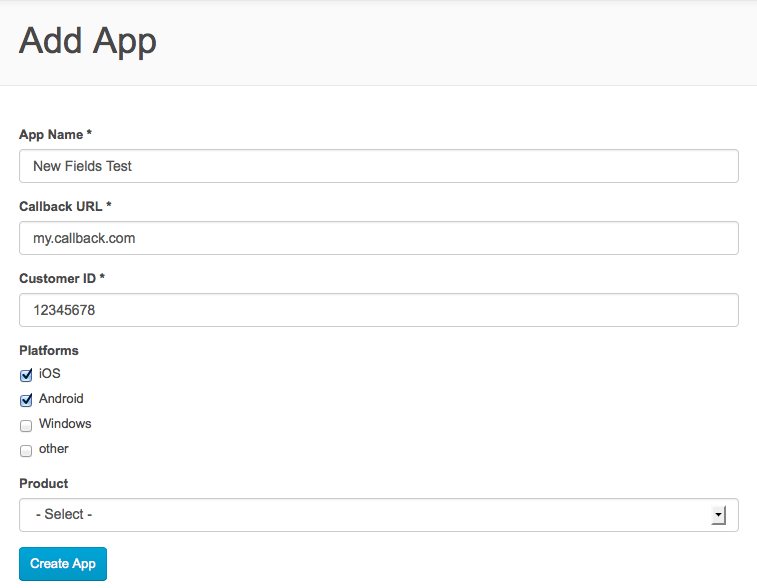 Note: For any option except the first, you can optionally specify a default API product added to all apps. If you choose an option that supports the selection of multiple API products, then you can specify multiple defaults. Checkboxes or radio buttons. Checkboxes appear when the developer can select multiple API products and radio buttons appear when the developer can select only a single API product. Select Configuration > Dev Portal Settings > Application Attributes in the Drupal administration menu. 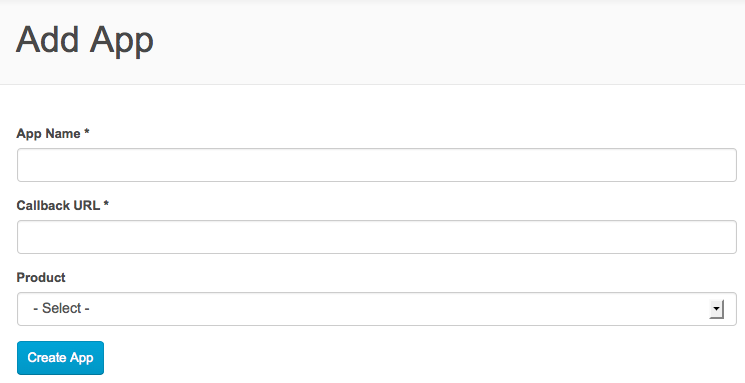 On the Application Settings page, expand the API Product settings area. Under API Product Handling, select the option that controls API product selection. If you specify the option "Associate all apps with one or more Default API Products (configured below)", set a default product under Default API Product. Under API Product Widget, select the HTML element used by developers to select the API products. If one or more of your API proxies uses "three-legged OAuth" (OAuth's authorization code grant type), developers need to specify a callback URL when they register their apps. The callback URL points to an external site, such as https://twitter.com. When the app requires user credentials, it doesn't ask for a username and password. Instead, it forwards the end user to the callback URL site, where they log in, which allows the app to get an OAuth access token to use in place of their username and password. Configuring a callback URL gives app developers the flexibility to send their end users to a specific site to log in, such as Twitter, Facebook, Google, etc. You can configure the callback URL requirements on the portal. For example, if at least one or the API proxies in a product uses three-legged OAuth, it might be best to require a callback URL for all developer apps so that a callback URL is available for the OAuth proxy. On the Application Settings page, expand the Callback URL settings area. Under Callback URL Handling, select one of the following options. Callback URL is required for all developer apps. Callback URL is optional for all developer apps. Callback URL is neither required nor displayed. On the Application settings page, expand the App performance settings area. Select the Show Developer App analytics tab check box. Select either Test or Production for Environment to query for analytics data. For a publicly available portal, typically you will select Production. Select the app name on the My Apps page. Select the Analytics link for the app. Note: When a developer app makes an API call with an API key or OAuth token, associations are made in analytics and performance data is collected. However, if an API proxy is open and doesn't require an API key, Edge has no way of knowing if there is a developer, developer app, or product associated with the API call. In this case, no performance data will be available. When a developer adds an API product to an app and then registers the app, the portal returns back to the developer the API key for that app. The developer then uses that API key to access the API proxies bundled by the API product associated with the app. Automatic - An approved API key is returned by the portal for the API product when the developer registers the app. You can later revoke an automatically approved key. Manual - An API key is returned by the portal when the developer registers the app, but the key is not activated for any API products that use Manual key approval. An administrator has to manually approve the API key, either in the Edge management UI or API, before it can be used by the developer to access the API product. You can later revoke a manually approved key. See Create API products for more information. If your portal lets a developer add multiple API products to an app, the developer might add some products with Automatic key approval and some with Manual. The developer can use the returned API key for all automatically approved API products immediately while waiting for final approval for those products that require Manual approval. Note: The portal assigns a single key to the app for use with all API products associated with the app. When an API product is pending approval, it is pending the approval of the app's key for use with that product. In this example, the Premium Weather API product uses Manual approval, and is waiting for an administrator to approve the key. The Free API Product uses Automatic approval and the use of the key to access it has been approved. Log in to the Edge management UI as a user with administration privileges for your organization. Select API Platform in the dropdown box in the upper-right corner. Select Publish > Developer apps to open the list of developer apps. Select the app name that you want to approve. On the app details page, select the Edit button in the upper-right corner. To approve the key, select the Approve button for each API product that requires manual approval. To revoke an approved the key, select the Revoke button under Actions for an API product to revoke access. Save the app. The API key is now approved. Information about API products and developer apps is stored remotely from the portal on Apigee Edge. That means changes to API products and apps can be performed from the Edge UI or API, without going through the portal. For example, when a backend administrator adds a new API product, the portal is not immediately updated with that information. To make sure that the portal stays in synch with the Edge backend, you can manually trigger an update of the portal cache, update the caches automatically when the portal's cron job runs, or both. For example, if you configure the cron job to run frequently, such as every 5 or 10 minutes, you might not want the overhead of updating the API products and developer app caches that frequently. In this situation, you can then trigger the cache update manually. But, if the cron job runs every hour or two hours, the time required to update the caches might not have much of an impact. Note: To set the frequency of the cron job, select Configuration > System > Cron in the Drupal administration menu. By default, the portal is configured to rebuild the API product and developer app caches every time cron runs. From the Drupal menu, select Configuration > Dev Portal Settings > Application Settings. To learn how to customize the app registration form that is available from the developer portal, watch this video. When you add new fields to the form, the field values are automatically uploaded to Edge, along with all the other fields, when the developer submits the form. That means you can view or modify those fields on Edge, or use the Edge management API to access those fields from a script. The developer can also edit the values by selecting the Edit link for the app on the My Apps page. The procedures below describe how to configure the app creation forms by using the administrator interface. A Drupal developer can perform additional customizations, including modifying the 'My Apps' page, by using custom hooks. To learn more on how change behaviors through code, see the app API examples in the file: /profiles/apigee/modules/custom/devconnect/devconnect_developer_apps/devconnect_developer_apps.api.php. Ensure that the DevConnect App Attribute Management module is enabled. Select Configuration > Dev Portal Settings > Dev Portal App Attributes in the Drupal administration menu. Select the Add Dev Portal App Attribute button at the top of the page. Internal Name = cust_id. This is the name of the variable used to store the field value. Description = Enter your customer ID. Select the check box for Display this attribute. Select Save to return to the Dev Portal App Attributes page. Select the Home icon > Flush all caches from the Drupal menu. You might have to clear your browser cache before the new field appears on the form. Description = Specify one or more platforms for your app. Select the checkbox for Display this attribute. Select the plus, +, symbol under the Name column and drag the property to the location where you want to display it in the form.